2016 has been a banner year for sports in India. With the biggest sporting saga of the world, the Olympic Games, along with the Paralympic Games, the Kabaddi World Cup, the T20 World Cup happening in this year, 2016 was a year like no other. 2016 saw several sportspersons from India putting their best foot forward and bringing glory to the country in their respective sports. In a country where people are obsessed with cricket, the achievements by the sportspersons across all sports have broken an invisible barrier. Despite all the hardships that they faced, these sportspersons preserved until they succeeded. It is this effort that needs to be lauded and in a bid to do that, we at Sportskeeda have tried to compile a list of the India’s top 25 standout talents from the 2016 sporting season, culminating in the crowning of Sportskeeda’s Indian Sportsperson of the Year 2016. Racewalking as a sport is not something that is glorified in India. 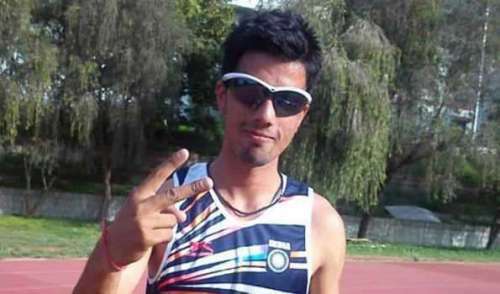 And yet, the story of racewalker Manish Singh Rawat and what he has achieved over the last 12 months will amaze you. The 25-year-old finished 13th in the 20km event at the Rio Olympics. Yes, he did not win a medal but he defeated some of the best race walkers in the world in the process. He missed out on a bronze medal by less than a minute registering a timing of 1:21:21. What is incredible about his feat is he never got the formal training that one needs to excel at the Olympics. Coming from a poor upbringing, Manish had to work as a farmer, a dishwasher, a labourer on a farm and even drove a tractor to make ends meet. He trained on the foothills of the Himalayas wearing torn shoes. And yet, he managed to beat some of the world’s bests including four former world champions, three Asian champions, two European champions and two Olympic medallists. To work two part-time jobs a day and then finish in the top 15 is a huge achievement in itself and thus he is 25th on our list.